I once thought Natsume Yuujinchou is just another "Mushishi light", I was wrong. 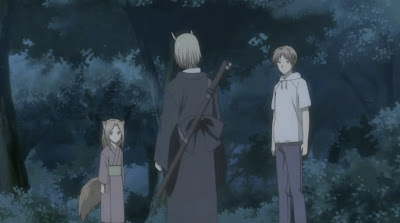 Natsume Yuujinchou is much more than just an ordinary ghosts and spirits story. Compare to Mushishi and Mokke, Natsume Yuujinchou is focused much more on creating atmosphere for emtional moments. Ghosts and spirits are just the medium. I've once thought Clannad would be the one earning this award. However, the tv series just didn't deliver enough to deserve this award. Recommendation: If you like traditional Japanese ghost stories, this one is for you. If you like heart touching stories, this one is also for you. If you like both, this should be the No. 1 series on your "to watch" list. If you like neither, well, give it a shot anyway, it might change you.